ActivityHero announces a Business Grant Contest that will benefit kids’ camp and class providers with over $15,000 in grants. If you’re a kids’ activity provider who faces the challenges of being a small business in the competitive Bay Area marketplace, here’s some good news. ActivityHero recently launched a Business Grant Contest to help providers strengthen their customer relationship base and apply to win over $15,000 in grants. 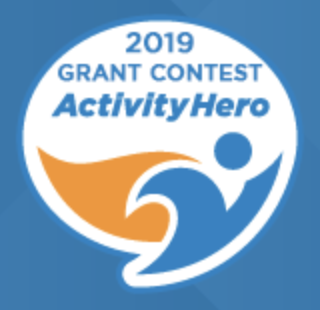 The 2019 Business Grant contest will award over $15,000 in grants and prizes from ActivityHero and its Partners. In addition, seven Finalists will each receive $500 in services from GoDaddy Website Builder, 4imprint Branded Promotional Products, PsPrint Online Printing Services and ActivityHero Online Marketing. These services help small businesses look their best and attract more customers. GoDaddy is a web-hosting platform and domain registrar that serves over 17 million customers while offering award-winning customer service. Build a top-flight website with ease. 4imprint boosts marketing power by providing companies with high-quality products such as water bottles, t-shirts, and booth signage that can be customized to promote their business. They also offer expert art and design consulting services. PsPrint offers quality printing, graphic design services and affordable prices. Popular items include postcards, posters, flyers and stickers. ActivityHero is the #1 online marketplace for kids’ camps and classes. Families find and book activities near them and businesses can use ActivityHero’s online registration service on their website for a convenient, seamless experience. Make sure your business has a valid ActivityHero listing. You can easily create a listing if you don’t already have one. Visit https://www.activityhero.com/go/grant and answer some basic questions about your vision, inspiration, and the kinds of connections you as an activity provider have made with your community. Be clear and concise! Apply by May 31, 2019 to increase your chances to win since you will be eligible for all three finalist drawings (one at the end of each month from May through July). The more votes and reviews you receive from families, the better are your odds of winning. Families cast their vote on each business’ ActivityHero listing. The ActivityHero grant contest will help you get more online reviews which can pay long-range dividends like a boost in personal referrals and customer trust in your brand. To maximize your customer reviews, read ActivityHero’s recent blog post, “5 ways to get more reviews for your business with theActivityHero’s Grant Contest”. Parents with school-age kids know firsthand that the school calendar is full of one day holidays as well as a several full weeks off. In fact, school is out 16 weeks a year so it is not a surprise that hardly a month goes by without some type of school break. On the plus side, many holiday break camps have emerged in the San Francisco Bay Area to enrich and engage kids on their days off. Here is the list of school holidays recognized by SFUSD and other school districts in the SF Bay Area, and where you can find school break camps during the days off. Apply by May 31, 2018 to increase your chances to win since you will be eligible for all three finalist drawings (one at the end of each month from May through July). Spring Break is here! Looking for some last-minute coverage? Some of these camps offer one-day drop-in rates for the ultimate flexibility! Aviation Camp, San Carlos – Spring Break Camps for Elementary and Middle School Students, starts in April. 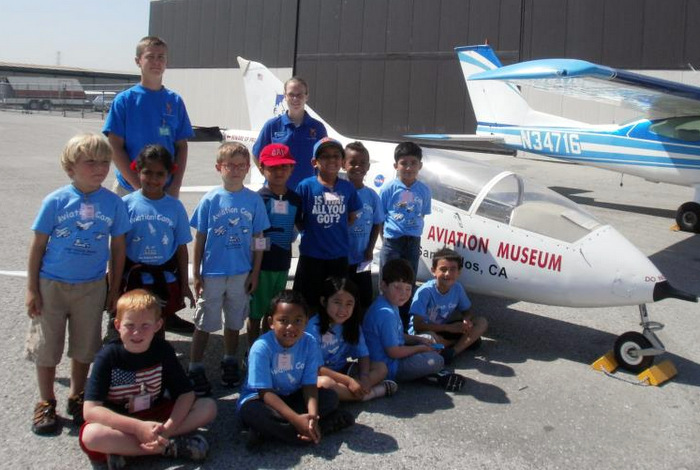 Aviation Camp is an immersive hands-on aerospace experience for campers entering Grades K-8. All programs are held at the Hiller Aviation Museum in San Carlos. Art-Smart Studio Art, Drama, and Lego Engineering, Foster City – Spring Break Camps weeks, starts in April. Activities include creative arts, drawing and painting, crafts and activities, outdoor active playtime, science and technology. Your child will thoroughly enjoy being creative by learning Canvas Painting, Quilling, Foam Board Craft, Wood Painting, Cloth Painting, Cartoon Story Making and much more. Teacher Shilpa has been teaching Art to kids for over 10 years. Legarza Basketball Camp, Belmont – Spring Break Camps starting in April. Campers work hard and feel good about themselves in a safe, disciplined, highly structured and motivating environment of learning and fun. Legarza places the child and his or her personal development ahead of the game. Positive encouragement and measured improvement in the fundamental skills are trademarks of their camp, as well as players learning to work together in a team setting while playing games and tournaments. BrainVyne Lego Camps Multiple Peninsula locations (Palo Alto, Menlo Park) in April. Create battery-powered LEGO® creations within a variety of themes – Space, Vehicles, Pokemon, Animals and Cities. Experiment with gears and wheels to create movement. Through hands-on building, students will learn how form and function come together in a great design. Spend time in practice, reflection and creative expression – inspiring self-connection and building friendships and community. Yoga postures, breathing exercises, meditation and relaxation practices will flow alongside discussion, art projects and group games as we explore the many ways “yoga” can show up in our daily lives. With the busy days leading up to Halloween, it’s been easy to forget that kids have a Veterans Day holiday and school is closed. If you haven’t already found a one day camp for Veterans Day it’s not too late – there are still lots of great options out there! For more camps, search for the latest schedules on ActivityHero using our date search. Updated March 28, 2019 !! Searching for a camp (with availability) in August can be as hard as finding a needle in a haystack. But with ActivityHero’s date search, we found these great summer camps in San Francisco, Marin, the Peninsula, the South Bay, and the East Bay in a few seconds. Hands-on science enrichment taught by real scientists & professionals! Explore chemistry, math, physics, cell biology. 2 San Francisco locations. A unique camp that blends textiles, art, jewelry-making, yoga and more. Offering in English, Mandarin, or Spanish immersion. 2 San Francisco locations. (Many sessions already waitlisted — act fast!) Built on STEAM-based fundamentals, this camp gives kids unique opportunities to be makers & creators. Berkeley, Orinda, Mill Valley & San Francisco. Discover the joy of puppet theater! Paint, draw, build, explore! The San Francisco Children’s Art Center is a fun place for children to explore their creative interests through quarterly art classes. Improve communication skills at camp — focused on debate, public speaking, writing, math, and reading. Cupertino & Palo Alto. Need more ideas? Visit ActivityHero, the #1 marketplace for kids camps & workshops to see a complete list of providers in and around San Francisco. If your kids are one of the lucky ones who get out of school before mid-June, you might be scrambling to find a camp that is running in late May or early June. Here, you’ll find summer camps that are open (and still have spots left) in early summer. By mid June, the camp options grow by leaps and bounds. 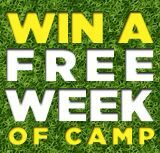 But if you need a camp in August, plan ahead, because there are only half has many camps open that month.